Handcrafted of Washington State cedar exclusively for 3waybeauty. 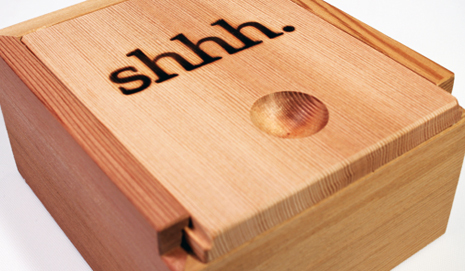 Cedar is a naturally anti-fungal and anti-bacterial hardwood that will extend the life of your shhh. grooming bar by absorbing excess moisture and keeping it dry. Purchase with or without a grooming bar. All design, manufacturing, and packaging is achieved by the independent small business community, with a commitment to sustainability. Design and manufacturing, Washington; Packaging, Michigan (family-owned, 100% hydro-powered paper mill).